The task involves removing documents from site, collating, repairing and de-stapling them before capturing them as scanned images. Our experienced staff process these commercially sensitive records. These staff are signatories to the Official Secrets Act and have been security vetted to BS7858 standard. After scanning, we either securely destroy records (and supply a certificate of destruction) or retain them in deep storage at our premises. 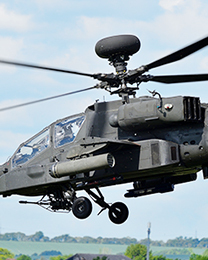 As technology has advanced and the relationship between the two companies has developed, more departments within this aerospace organisation use Scan Film or Store Ltd for document scanning and document storage services. The council’s initial issues concerned storage. Over time, it had accumulated a huge paper mountain that was becoming difficult to store and manage. This in turn meant the records’ integrity was compromised and they became a safety and fire risk. Additionally, accessing documents was difficult and time-consuming: responding to an enquiry was often a laborious and expensive task. Digitising its records seemed the best way forward. When seeking a partner, however, the council needed complete assurance that all documents and information would be accurately captured and that all processes would meet its ongoing corporate and legal obligations. 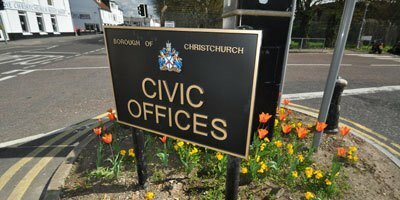 Christchurch Borough Council appointed Scan Film or Store to manage the files, scanning the backlog a year at a time to help manage costs within annual budget constraints. Our service includes collection through to the destruction of historic files once complete and a unique ‘scan on demand’ service in which we return to the council electronically any file in production – within an hour, if required. We also index the scanned files to mirror the council’s physical filing systems, so they can retrieve them easily. We supported the council in overcoming the issues of retrieval and access by recommending an Alchemy document management system. Alchemy gives council staff an easy-to-use and robust environment to store, retrieve, share and backup documents across departments and from any desk, at a click of a button. Alchemy is fully scalable, designed to grow with the council’s electronic archive and integrate with other in-house systems. The council has achieved significant benefits in time taken to retrieve records, while continuing to meet its data and records obligations. Paper and photocopying costs have reduced dramatically and paper record storage has been eradicated from council operations. Efficiency council staff now have access to all documents from their computer, allowing them to focus on core duties. Accuracy and compliance they maintain the integrity of all scanned images and captured information in line with legal and corporate data requirements. Cost effectiveness our service offsets long-term costs associated with storage and printing. Integration fully integrated and compatible with existing in-house systems. Following an initial, large project to manage historical files, the company has a regular ongoing requirement to scan additional batches of documents. …and almost all types of documents which this very busy organisation generates in producing quality engineered products. Each project involves us collecting the documents from the site, collating, repairing and de-stapling them before digitally scanning them. Our experienced staff, who are vetted, security cleared to BS7858 and who are signatories to the Official Secrets Act, expertly handle these often sensitive and confidential records. We scan them and/or retain them in deep storage at our premises.